Chemical Concepts | Portfolio | Sharp Innovations, Inc.
As Chemical Concepts continued to grow as a company and as an SEO client, it was time to produce a new site design to simplify their site navigation and checkout process. 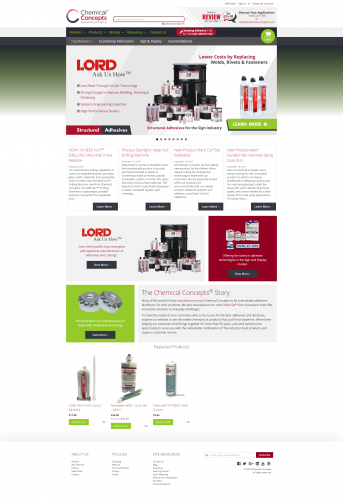 Their previous site had experienced significant change over time and would undoubtedly benefit from a fresh design that takes into account their copius markets, brands, and more. Our design team coordinated closely with our SEO team to create a brand new design that follows the Chemical Concepts branding while providing a cleaner, easier user interface for customers to find exactly what they're looking for as quickly as possible. From planning to execution, meticulous attention was paid to ensuring a positive customer experience across both desktop and mobile form factors. 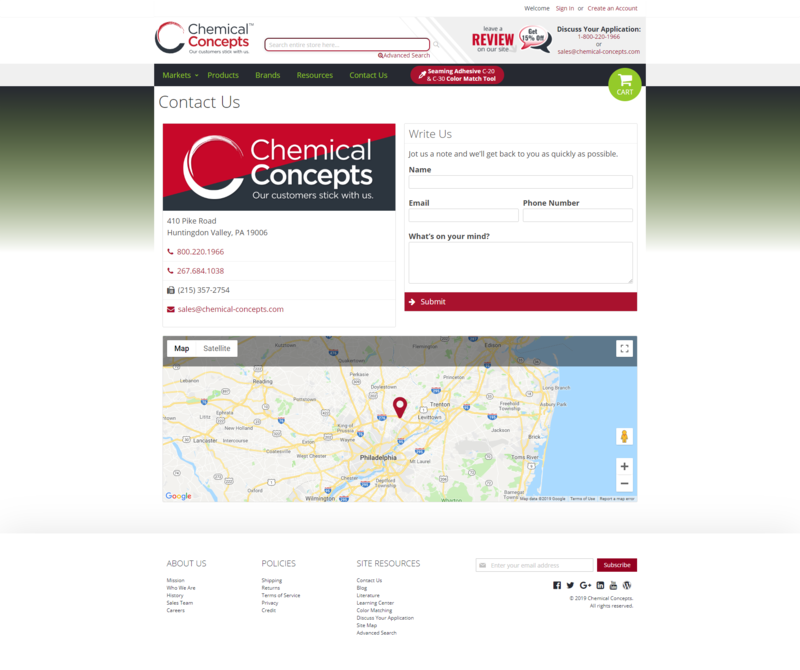 Chemical Concepts represents our full suite of services from the initial design and build including custom programming to on-going SEO and social media efforts.